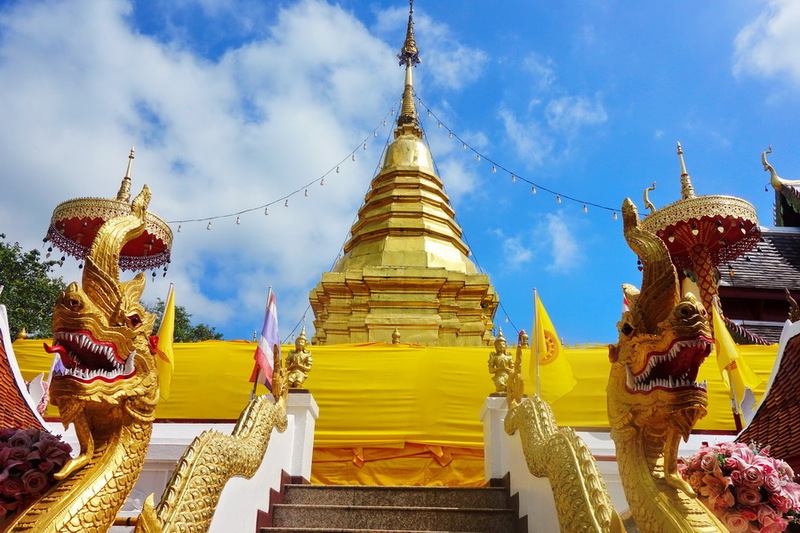 Phra That Doi Kham Temple is a beautiful temple situated on a lush mountainside near Chiang Mai Town. 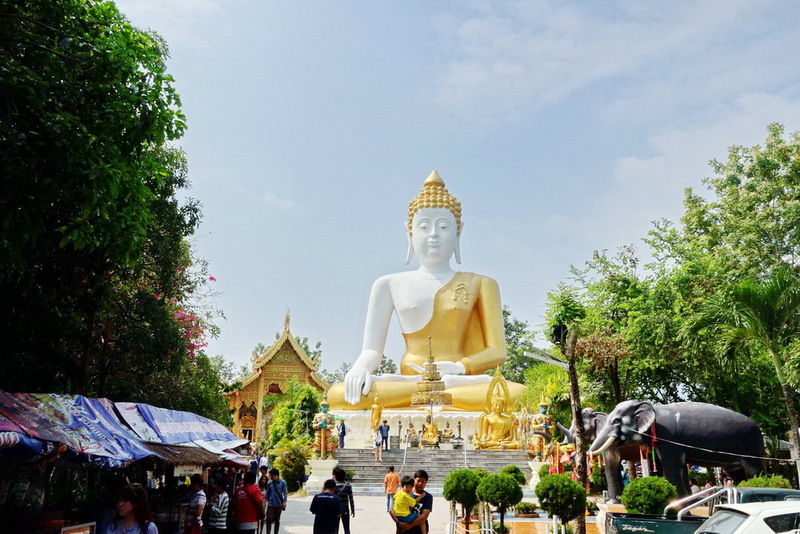 ‘Wat Phra That’ refers to the fact that this temple houses relics of the Buddha, and ‘Doi Kham’ means ‘Golden Mountain’. The sacred temple was built more than 1300 years ago, in 687 A.D. It had been abandoned, but in 1966 villagers discovered a hidden chamber containing many ancient Buddha images of various sizes, and this find prompted a revitalization. 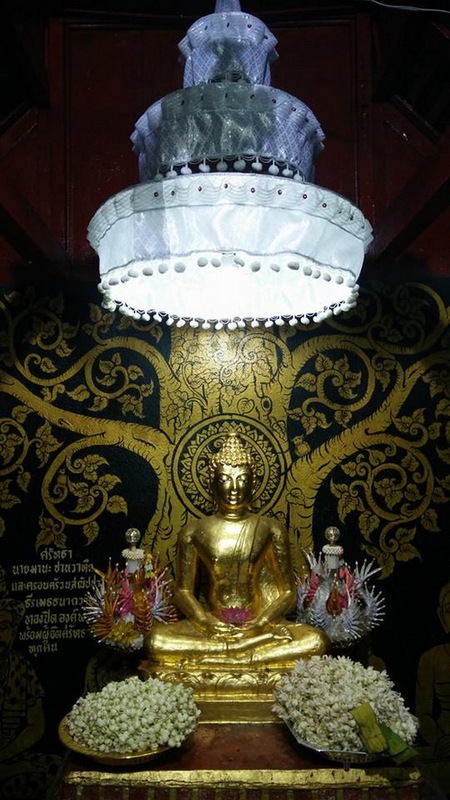 In the temple you can find the Buddha image of the success. 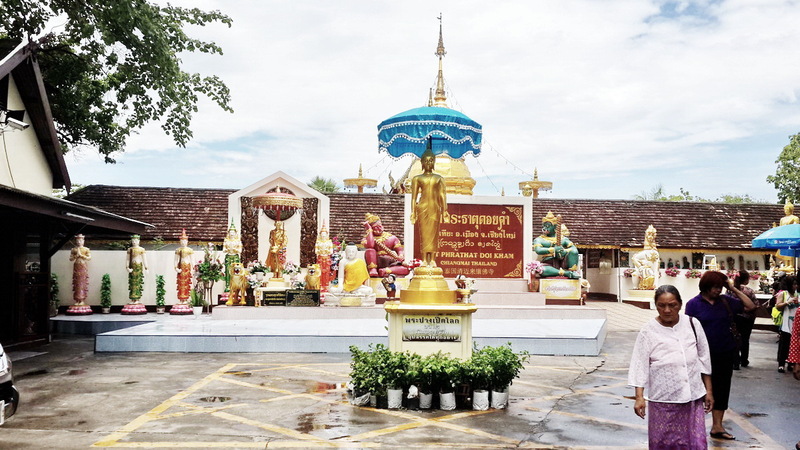 Named “Luang Por Tun Jai”. Because of this image, most believing Buddhists come to the temple. They want something from the image of success. If the desire is eventually fulfilled, the faithful return to show their gratitude. You will see people sell jasmine flowers since on the street before reaching the top where temple located. 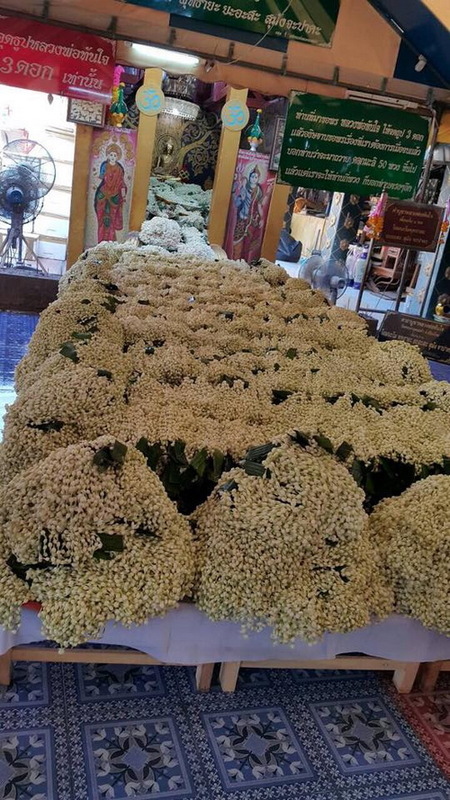 Or you still can buy jasmines for worship in the temple. Do a wish, do things all make your wishes come true. And finally, you wait for success result. The temple’s courtyard containing the chedi and the viharn is partly enclosed by a gallery lined with square green pillars decorated with golden flower motifs. The gallery contains numerous seated Buddha images in various postures seated on white pedestals surrounded by smaller Buddha images. A number of prayer boxes are placed inside the gallery. The courtyard contains large numbers of bells and very large gongs that visitors can strike. Several large warriors armed with swords similar to those at the Grand Palace in Bangkok and white lion figures or Singha guard the grounds. The viharn contains beautifully carved window panels, its roof is decorated with Naga bargeboards. 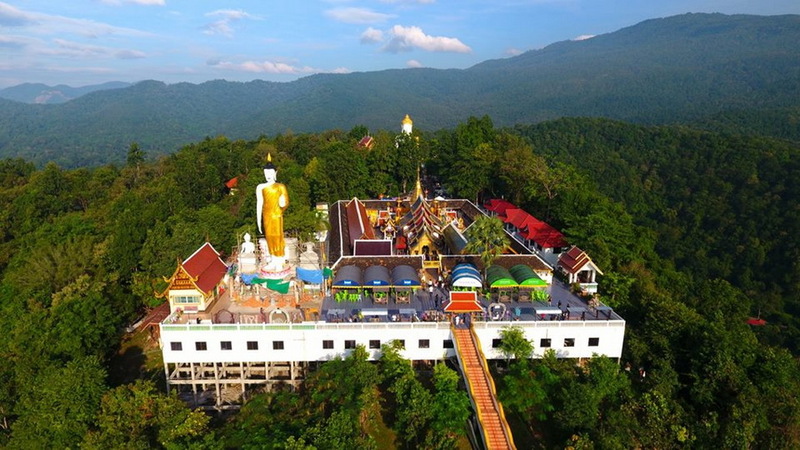 The large seated Buddha image of Wat Phra That Doi Kham is visible from far, being located on the foothills of the mountains south of Chiang Mai. 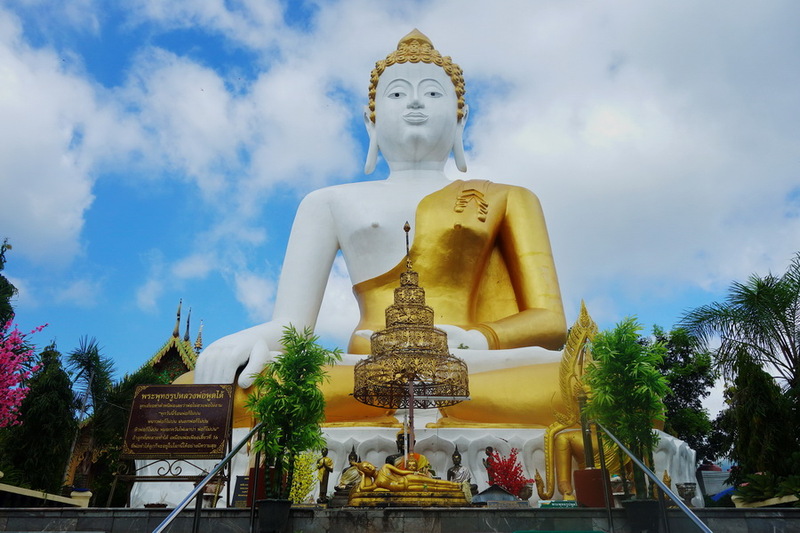 At 17 meters tall, it’s the largest seated Buddha in Chiang Mai. It’s also larger than a number of other famous giant Buddha images, such as those at Kamakura and Nara in Japan. The Buddha has characteristic Lanna features typical of Buddha images from Northern Thailand, such as a round face and lotus bud shaped crown protrusion. The temple grounds include a large terrace that gives a vantage point out over fields and towards the city below. You can also find the Hindu gods Vishnu and Ganesha hanging out on the viewing platform and enjoying the scenery. 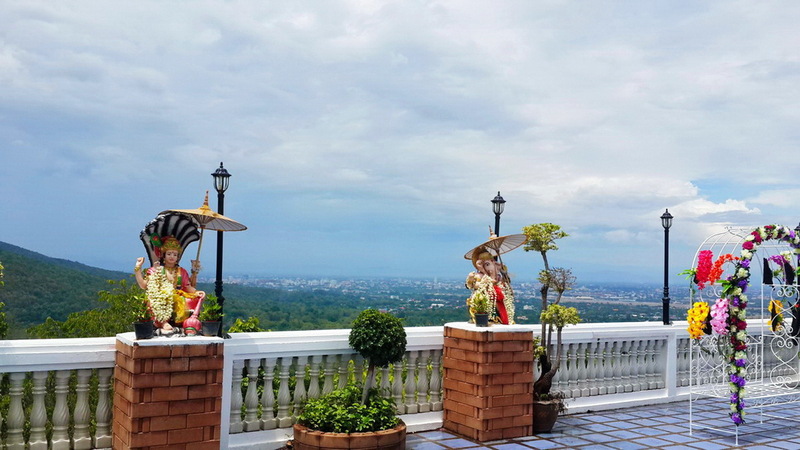 From the terrace of the temple, visitors could see the view of the Royal Flora Rajchapruk Park where the Thai people honor the show the respect to His Majesty the King of Thailand for his 60th years on the throne with the big cerebration. 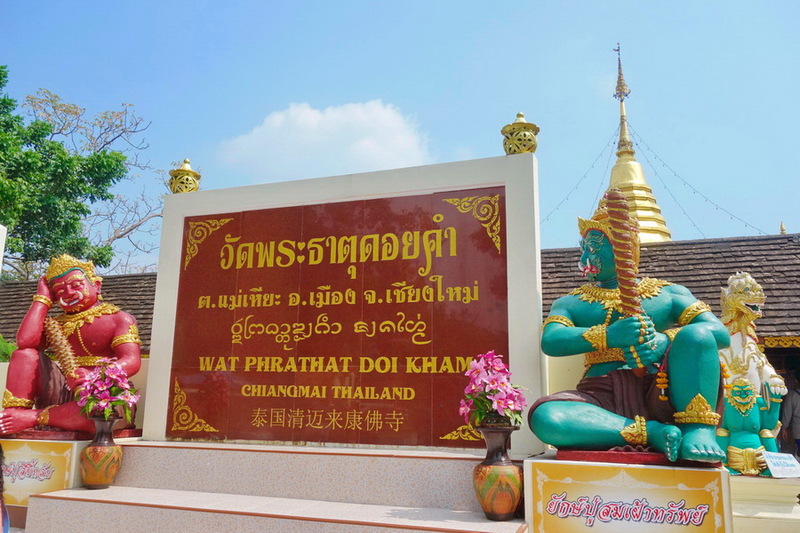 This is one of the place to visit in Chiang Mai because you could also visit to the park as well as Chiang Mai Night Safari as well. Phra That Doi Kham Temple is quite easy to get to the temple with your own transportation. Just head south on the Canal Road and turn right at the sign for the Night Safari and Ratchaphruek Royal Flower Gardens. You’ll then see the temple up on top of a hill ahead of you. The road twisting up the mountain is not difficult. The easiest way to get there is to hire a taxi. Most tour agencies in Chiang Mai can book for you. The entrance fee is only 30 baht per person, Thai nationals are freel. It’s open times are 8:00 until 178:00 daily.